Columbus homeowners may feel tempted to tackle clogged drains with homemade cleaners. However, pouring a concoction of chemicals down your drain may weaken and destroy pipes. DrainMaster never advises tackling drain cleaning without help from professionals. The old-fashion vinegar and baking soda method is actually quite ineffective with helping clogged pipes. On the surface, it may seem that this classic cleaner unclogs stagnant drains. However, pipe lines extend a long ways from the sink. Vinegar and baking soda do not reach deep grime inside the pipes—they only mix into standing pools of water. Where vinegar is acidic, baking soda is a base and counteracts the acid. An even worse tactic is dumping corrosive chemicals down your drain. Bacteria aids in breaking down waste and sewer systems house a complex ecosystem of bacteria. So drain cleaners—such as Draino—may harm the natural workings of pipes and lead to dangerous leaks. DrainMaster understands how healthy pipes naturally flush out grime and stop blockages. Taking matters into your own hands can tamper with a sewer’s ecosystem. Sewer system emergencies may occur if a homeowner flushes caustic chemicals into weakened metal pipes. There are also environmental impacts of do-it-yourself drain cleaning. It may be tempting when visiting a grocery store to buy low costs drain cleaners without checking the labels. Chemicals like hydraulic acid do not clean drains, but stagnate deep within plumbing systems. A common scenario regarding drain cleaners is the homeowners becoming frustrated and dumping more toxic cleaners down their drains. Eventually, these corrosive cleaners will eat away and pipes and even seep into the soil surrounding one’s home. A plumbing specialist uses environmentally safe and results-proven chemical solutions to unclog drains. There is a lot of nuance and knowledge required with safely unclogging a drain. Instead of trusting hard-to-read labels on drain cleaners, plumbing services do the handy work of selecting the best and safest products. DrainMaster will firstly assess the condition of pipes before forging a plan of action for clogged pipes. Routine water heater service can help your unit run more efficiently and extend the life of the system. Traditional water heaters last between 10 and 12 years, while tankless water heater systems can perform for up to 20 years. Understanding the needs of your unique system will help you know when repairs are needed. By having routine water heater service performed, your home will benefit in four major ways. When your water heater is routinely inspected and small repairs are made, the unit operates at optimal level. Your Columbus, Ohio water heater repair company will thoroughly inspect the unit for any cracks, loose parts, or sediment buildup. When the unit is running efficiently, it uses less power to operate, saving you money each month on your utility bills. It’s not cheap to replace a water heater, so keeping your current unit properly maintained will help extend the life of the system. Regular maintenance allows the unit to be cleaned and ensured it’s running smoothly. When the water heater exerts less energy while in use, less wear and corrosion occur. Cold showers are no fun. By having your water heater properly maintained, you can ensure consistent hot water service into your home or business. Without routine inspection and service, the water heater will develop sediment buildup. The sediment makes it harder for your unit to heat water, which means you wait longer for warm water and there’s less of it. A yearly inspection of your water heater means a technician can detect and prevent major issues from occurring. Small issues are caught during the inspections, but without the routine service, those small cracks or loose parts could easily turn into water damage and a broken water heater. Keep your monthly utility bills low and your family supplied with hot water by including a yearly water heater inspection in your home maintenance plan. Choose a reliable company to inspect and service your system so you know your water heater will perform well for years to come. No matter the season, you want to know your plumbing will run smoothly. Regular plumbing maintenance is the best way to ensure your pipes are in top shape year-round. When you take the time to have a Columbus, OH plumber routinely inspect your pipes, the technician can detect small issues before they become costly problems. While a call to an emergency plumber isn’t always avoidable, these steps will help you maintain your system throughout the year. Pipes are affected by your lifestyle and the environment. Because you can’t see what’s happening inside the plumbing system, it’s crucial to have a professional plumber inspect the system, explain the condition of your pipes, and take the necessary steps to prolong the life of your pipes. Just because you can’t see the inside of your pipes doesn’t mean you should ignore them. A camera inspection will reveal what the inner lining of your system looks like. Video inspection can reveal buildup, debris, or cracks in the pipes. Having a Columbus, OH plumber perform a camera inspection every one to two years alerts you to pipe leaks, invasive tree roots, or advance deterioration. The plumber will use a malleable cable with a waterproof camera attached to view your pipes. Pipes naturally accumulate buildup after years of use. Grease, hair, and other debris begin to line the walls of your pipes, making it harder for your system to remove waste and deliver water. Keep your pipes clean in an environmentally-friendly with Hydro Jetting. Your Columbus pipes will be as good as new after this thorough cleaning process. A rotating nozzle is inserted into your pipes and high water pressure is used to wash away grease, tree roots, scales, and other clogs. Have this safe pipe cleaning service performed every one to two years. A visual inspection of your exposed pipes can help prevent damage as the temperatures and seasons change. Walk along the exterior of your home to look for cracks or small openings near the foundation, dripping outdoor faucets, or pooling water in your yard. Also survey the exposed pipes in your basement or attic to ensure there are no cracks or obvious corrosion. Help your residential or commercial plumbing system run more efficiently and extend the life of your pipes with routine plumbing maintenance. A yearly camera inspection, hydro jetting services, and visually inspecting your pipes will provide peace of mind that your home’s plumbing system is running smoothly. Sump pumps protect your home from untimely plumbing mishaps such as major flooding and water damage. At DrainMaster Ohio, we specialize in sump pump equipment that works by pumping out excess water during storms. At DrainMaster Ohio, we can keep your sump pump working in optimal condition to give you utmost peace of mind. Regular sump pump maintenance will bring home and business owners a variety of benefits. 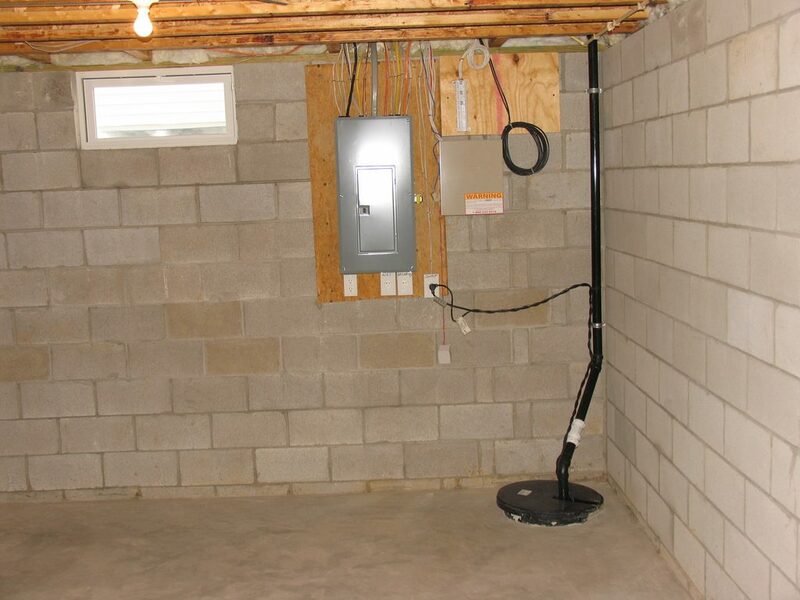 Sump pumps are made to be highly-reliable in the event of flooding. However, when left alone and without the proper maintenance, the likelihood that sump pumps will work during emergencies are reduced. At DrainMaster Ohio, our qualified technicians make sure that the pump has sufficient power throughout the year and that connections are always safe. It is our goal at DrainMaster Ohio to keep your sump pump running efficiently all the times. Your sump pump’s life is extended when properly maintained. In the event that your sump pump doesn’t work during rainstorms, excess water can enter the basement and cause all sorts of damage, including the dangers of mold, bacteria and the like. Homeowners can check the pump prior to forecasts of heavy rainfall to protect their property. Sump pumps are considered as emergency systems that must activate each and every time there’s a danger of flooding. From the moment it’s on standby mode up to the point where it’s needed, there are several factors that can affect its performance, including leaks and electrical wiring issues. Your Local Experts at DrainMaster Ohio Specialize in a Variety of Sump Pump Services! At DrainMaster Ohio, we can check for problems quickly and efficiently. Regular sump pump maintenance service can prevent huge repair costs and replacements if it breaks down and the resulting water causes flooding and structural damage. Our professional, licensed technicians can install, repair and maintain all kinds of sump pumps to bring 100% customer satisfaction. In addition, our company offers general inspection and evaluation services for homeowners who are concerned about their pre-installed pumps. We work with our customers to ensure they save money and do not have to deal with the results of harmful flooding damage. At DrainMaster Ohio, we are experts when it comes to water heater brands and their quality. 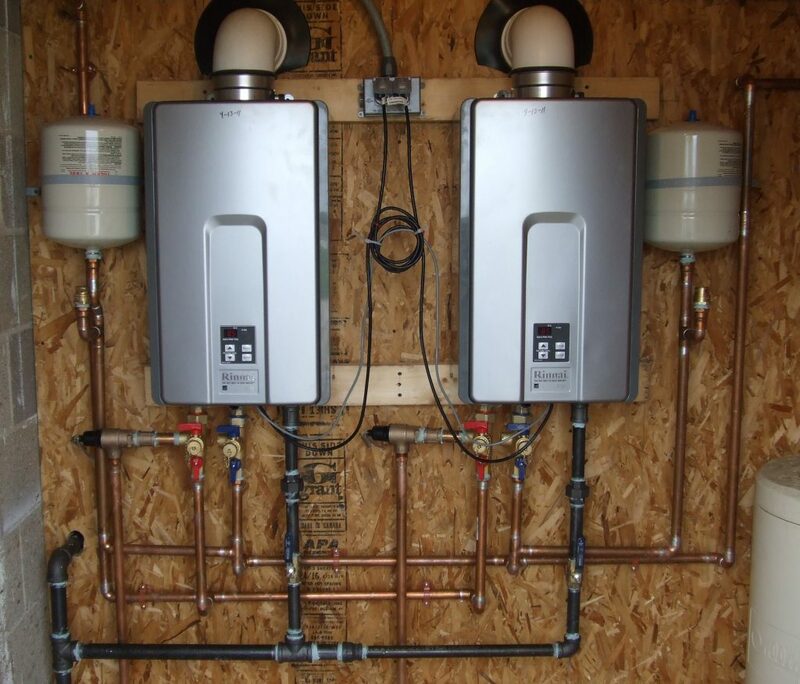 Our team at DrainMaster Ohio is able to repair, replace, and install a variety of water heaters. At DrainMaster, we recommend the following water heater brands as they bring the best value in terms of home comfort and increased efficiency. A.O. Smith is a household brand that makes boilers, water heaters and storage tanks for residential and commercial purposes. Moreover, the company proudly offers a wide range of high efficiency solar, tankless and hybrid water heaters for all clienteles. A.O. Smith’s products are on the pricier side, but you can be sure that it’s an investment that will last for a long, long time. G.E. is a longstanding brand that makes electric and gas water heaters. Their heater tanks come in many different capacities. There are multiple warranty levels and energy efficient ratings per size as well. More notably, G.E. is the maker of GeoSpring, an electric heat pump sold in the U.S.
Rheem makes electric and gas water heaters for residential homes. The brand sells a wide variety of heaters, including solar, electric, gas and hybrids in tank or tankless variants. Rheem has a reputation for delivering durable water heater units that stand the test of time. Kenmore water heaters are some of the least expensive ones you can buy today. They’re the perfect choice for consumers who need a new water heater within budget. You can choose between electric, natural gas and hybrid options depending on your needs. Bradford White is a water heater company specializing in space heating and water heating for commercial and residential applications in either electric or gas models. When it comes to tankless models, brands Rheem and Rinnai stand out in the market. Rinnai, in particular is preferred as it features innovative engineering while keeping the consumer’s best interests in mind. Bosch is one of the leading brands in tankless water heaters. They have a reputation for building sturdy products that are remarkably durable and reliable at the same time. Their flagship is the natural gas tankless heater variant, which is powered by the Smart Bosch Technology, delivering up to 98% in efficiency. Call Your Ohio Water Heater Experts at DrainMaster Today! At DrainMaster Ohio, we service a variety of water heater makes and models according to your needs, whether for washing, bathing, cooking, or cleaning. Call our team of friendly experts at DrainMaster Ohio to scheudle a appointment today! Even though they are not always visible, your residential, commercial, and municipal water lines are one of the most important aspects of your property which is why it is important to attend to them on a regular basis. Generally, we only notice water line problems when we see visible evidence that they are failing and disrupting our every day tasks. At DrainMaster Ohio, our water line inspection services bring to light hidden issues within your pipe system such as leaks, calcified buildup, and corrosion. When left alone, these small issues become big issues that cause costly repairs later on. DrainMaster Ohio is an industry leader in innovative line inspection techniques and tools. Our trenchless technology presents very little to no disruption because everything is done above the ground. We invest in the latest equipment, bringing unparalleled inspection services to our customers. In only a few hours we will be able to determine any potential issues and have them fixed before they become major emergencies. Our technicians at DrainMaster Ohio use a high-definition camera to move inside of your pipes via a flexible rod. We also attach a light and a transmitter in order to capture crystal clear real-time footage of your pipe’s interior as the camera moves through your pipe system. As our specialized technicians at DrainMaster will record all imperfections within your pipe system like clogs, breaks, cracks, and bloackages. 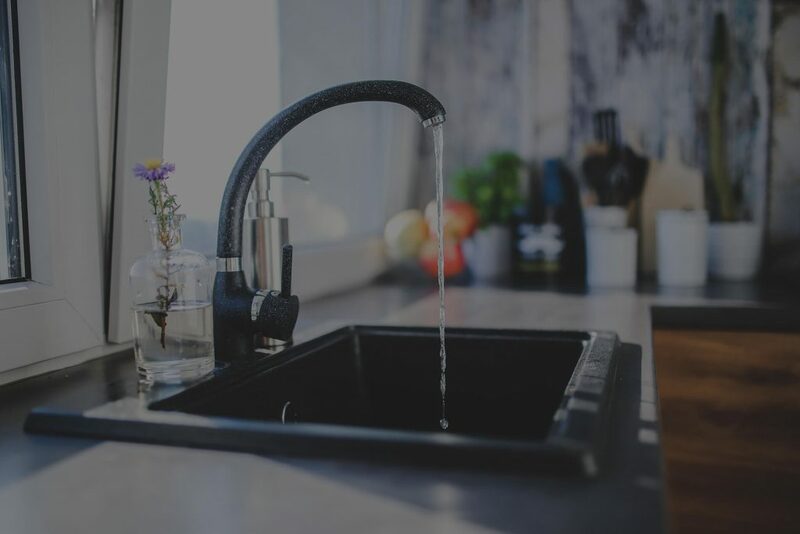 With years of experience and extensive training, the DrainMaster serving your property can get to any point in your water line system and see even the smallest defects and issues. Over time, water pipes and lines become more vulnerable to rusting, corrosion, damage due to ground movement, pipe pressure, and buildup of minerals. Our comprehensive inspection process takes out the guesswork inherent in traditional pipe inspections. In a reasonable amount of time, we can inspect the whole commercial or residential pipe network and find any problems along the way, including ones that possibly contaminate your water supply. After camera inspections have been properly conducted, our expert technicians at DrainMaster Ohio can formulate the most effective solution to your drain problems. Video technology is an essential part of repair and replacement services as they guide the tools and equipment to where they need to go. Schedule a water line inspection at least once a year to prevent untimely water line failures and expensive repairs. Take the necessary precautions and stay proactive about your drain health by calling DrainMaster Ohio today.